This entry was posted in 80's Movies, Campy Comedy, Movies for the Whole Family, Parody, Spy/Espionage and tagged Bill Cosby, Entertainment, Gloria Foster, Jane Fonda, Joe Don Baker, Movies, Paul Weiland, Review, Tom Courtenay, Victoria Rowell. Bookmark the permalink. This is Part 6. So, are you saying that there is no chance at a series of prequels? 😉 As popular as Bill Cosby was at the time, I had no desire to see this movie, and definitely won’t now – for so many reasons. 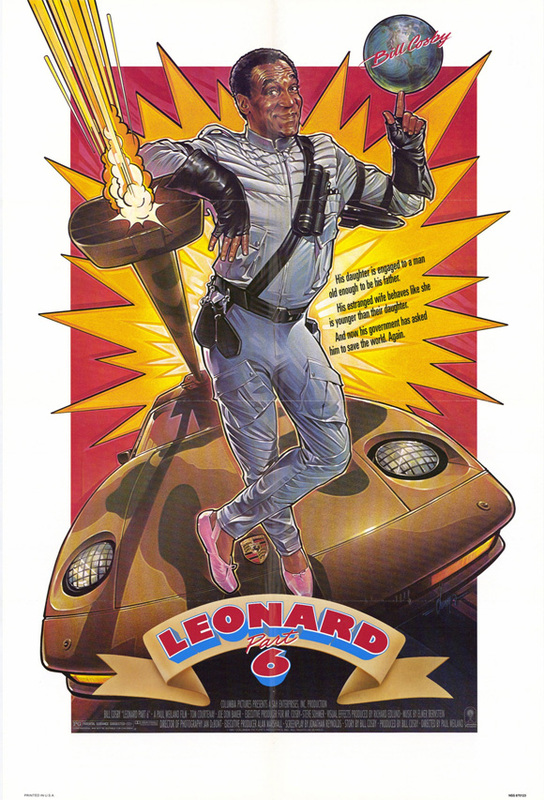 Apparently the reason it had a ‘part 6’ in its title was as a humorous nod to the 80’s movie landscape that at the time was filled with movie sequels. The explanation was that for national security purposes the government had classified the first 5 adventures as being ‘top secret’ and unavailable to the public for viewing.